Diminish frown lines and furrows with a noninvasive, virtually painless injectible that will leave you youthful and refreshed. Minimum 20 units suggested. 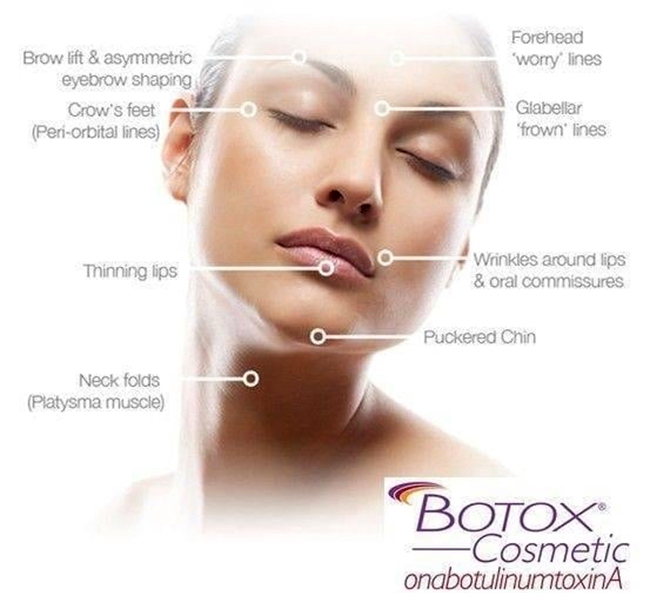 BOTOX® Cosmetic is injected into muscles and used to temporarily improve the look of both moderate to severe crow’s feet lines and frown lines between the eyebrows in adults. It works by targeting the repeated muscle contractions from frowning and squinting over the years. Once injected into the muscles, it temporarily reduces muscle activity. This will diminish frown lines and furrows noninvasively and virtually painless. A minimum of 20 units is suggested but differs amongst each person.